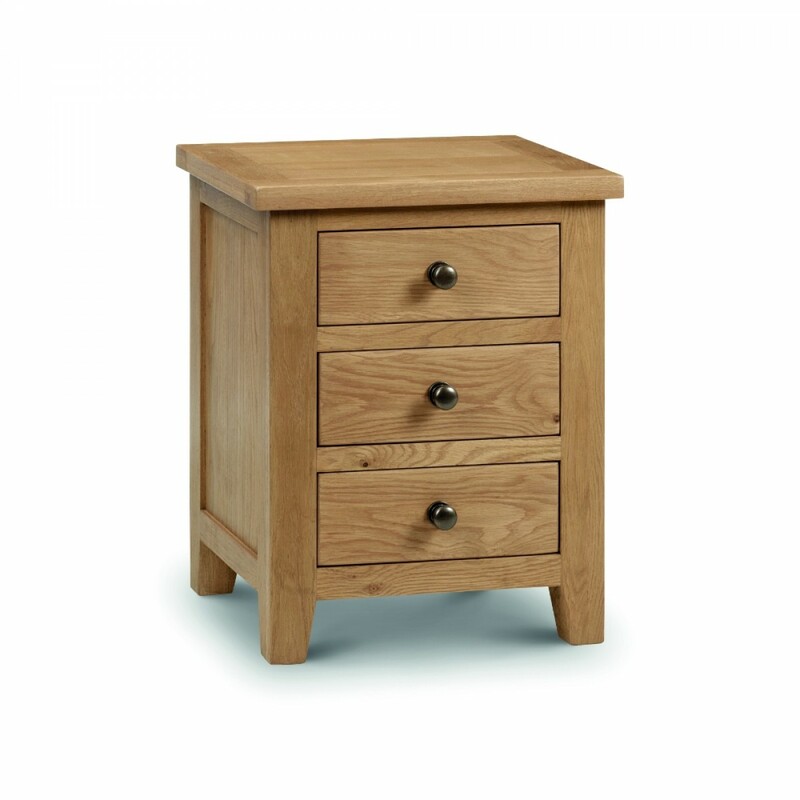 The Marlborough Oak bedside table is a perfect addition to any room. The solid oak and oak veneer construction looks great and is strong and durable. The waxed oak finish gives a great look that will match many bedroom decors. The drawers feature ergonomic metal handles and pull out very smoothly on the runners. The top of the bedside table is very chunky at 3 cm thick. Тhe Marlborough Oak bedside table is supplied fully assembled. The product is part of the Marlborough Oak Wooden Bedroom Furniture Collection.